I was born and raised in Scotland then spent my high school years in England. I moved to the USA over 20 years ago. My son, who was born in Ireland, recently graduated from SDSU, and my daughter graduated from UCLA. I attended SDSU (Go Aztecs! ), and I have a masters in education from PLNU. In addition, I am a National Board Certified Teacher, and I recently completed GATE (Gifted and Talented Education) certification through UCSD. This will be my sixteenth year in the classroom as either a 4th, 5th, or 6th grade teacher. Furthermore, for eight years I had the pleasure of working with a terrific group of students as a robotics coach. One of my hobbies is reading; I love my Kindle! My favorite genres are mystery and science fiction. 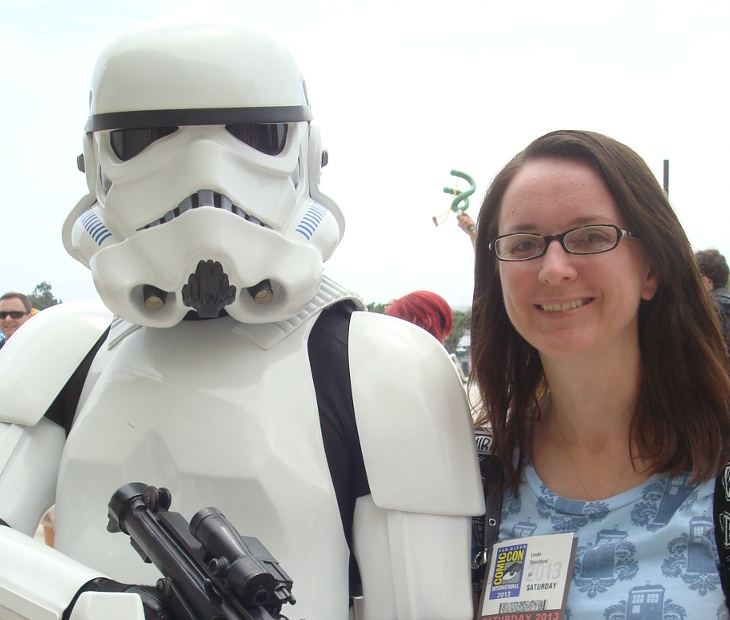 I also really enjoy science fiction and superhero comics and movies, especially Star Wars and Wonder Woman. I have many pets, including my dog, Penny, and four tortoises named Vlad, Olga, Sherlock, and Watson. Most importantly, I love being part of this amazing school! GO ROBO! Visit our class blog at https://msstentiford.wordpress.com/.